To study fine arts in Ukraine will be an unforgettable academic experience for international students who are looking for study abroad destination in Europe. WHERE TO STUDY FINE ARTS IN UKRAINE? Ukraine is country of artists who have brilliant artistic records and the reason is that Ukraine always emphasized well on fine arts. There are many national universities in Ukraine for fine arts where national and international students study their arts programs. Ukraine has always veen a hub for foreign students and it is all because of quality education and best teaching methods. Also Ukraine has the best affordable prices for higher education which attracts the foreign students. Living conditions for international students are very comfortable in Ukraine and they do not feel far from home. Fine arts course in Ukraine is well recognized alll over the world and these foreign students who completed their fine arts courses from Ukraine may work in the field of arts anywhere in the world. Almost in every city there are fine arts universities in Ukraine and at all these universities foreign students are studying their fine arts courses. For 2019-2020 also we are receiving applications from foreign students who want to study fine arts in Ukraine at one of the national university. All foreign students for the first year join preparatory faculty for Russian language and upon completion of their preparatory course for 10 Months they join their fine arts courses. 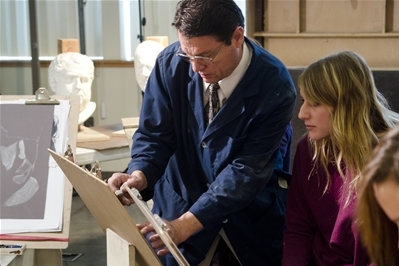 Bachelor courses consist of 4 years while masters in fine arts lasts for 2 years at any national university in Ukraine. Admission process is very simple and easy.All foreign students who have passed their secondary school certificate may apply for the admission.They have to scan their secondary school certificate copy with passport copy in the Email of admission office mentioned below. Admission staff assess their eligibility on academic grounds and inform all applicants within 2 days for their admission possibilities. Those foreign students who are found eligible send their admission fee and scan the fee receipt to the admission staff for their record. Ineligible international students are requested to send more supporting documents if required. Once admission office receive the admission fee receipt,Their documents are sent to the Ministry of Education,Ukraine for the issuance of official admission letter and this process at Ministry of Education,Ukraine takes 2 weeks maximum. Once issued this official admission letter is delivered to the admission staff and admission staff courier it to the student’s address. Once applicant receives the original study invitation,He/She starts his/her visa processing. Ukraine has made it easiest for foreign students to obtain Ukraine study visa without physical appearance at Embassy of Ukraine. Ukraine has set up its national visa centers in almost all countries where international students submit their visa file and collect their visas from there. We strongly recommend all international students to must scan us their visa copy with air ticket 3 days before departure. Those all foreign students who want to study fine arts in Ukraine at one of the national university may contact us freely anytime for their 2019-2020 admission processing.